Byline: Jared S. Hopkins and Doni Bloomfield, Bloomberg News. The world’s biggest drugmakers don’t have the muscle they used to have. Pharmaceutical and biotechnology giants are finding it more difficult to charge high prices for a range of medications, their latest quarterly results show. That’s raising the pressure to pump up sales volumes and find lucrative new treatments for niche markets. 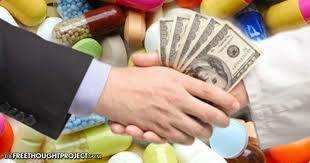 The reason: The big companies that pay for drugs are getting bigger. A series of tie-ups among insurers and pharmacy benefit managers has left drugmakers negotiating with a handful of powerful players. List prices for medications are still rising, but drugmakers are forced to give large rebates to insurers and pharmacy benefit companies that bestow spots on their coveted formularies — the rosters of drugs covered by payers. “We do have a payer environment that’s been consolidating, and with that consolidation, there’s better negotiating power against pharmaceutical firms on price,” said Damien Conover, an analyst at Morningstar Inc.
Read the full article at: https://www.bloomberg.com/news/articles/2017-05-04/big-pharma-losing-leverage-as-payers-raise-pressure-on-price.